Backed by long-time friend, drummer Bobby Van Stone and bassist Patrick Stevenson, Shaw Davis & The Black Ties feature their own brand of Psychedelic Blues and Roots Rock that continues to win over fans and crowds across the nation. As a national touring trio, the band has played over 300 shows, headlining festivals and opening tours, allowing them to build a loyal following throughout the country. Being influenced by the sounds of vintage, heavy blues rock, they have opened shows for acts such as Samantha Fish, Chris Duarte, Mike Zito, Albert Castiglia, Matt Schofield, Popa Chubby, GE Smith, and toured with Anthony Gomes. Touring in 2019 to promote Tales From The West, the group’s newest album receiving impressive reviews and airplay while debuting at #20 on the RMR Blues Rock chart. North Carolina based Cory Luetjen & The Traveling Blues Band are a regional favorite, playing over 250 dates a year through out NC, SC, TN, & VA. Their brand of high energy brings a charismatic mix of Blues, Funk, & Beach music, guarantees a foot tapping, crowd pleasing good time. The progressive Blues Rock inspired 5 piece band is winner of the 2017 Piedmont Blues Preservation Society Blues Challenge. 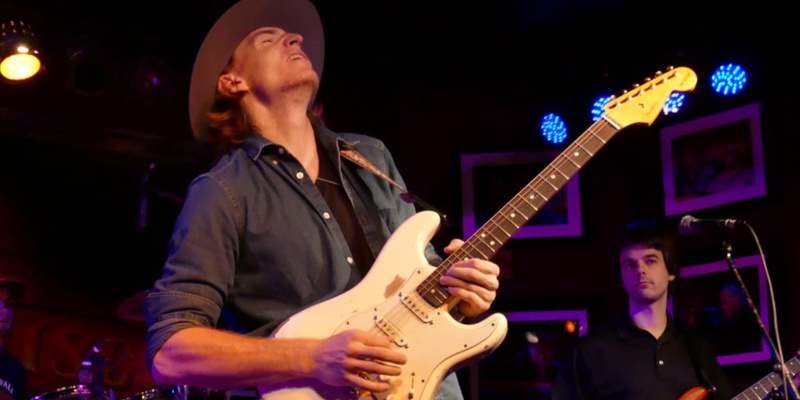 With Cory Luetjen-Guitar/Vocals, Jonathan Link- Saxophone, Earl Austin- Keys, Scott Marvill-Bass, & Deon McNeill-Drums, this power house blues machine produces a wall of sound that rivals the likes of Delbert McClinton, Robert Cray, & Gregg Allman.